Acupuncturist, Herbalist and dhamma practitioner Matt Branham of Healing Path Acupuncture and Cross River Meditation Center, will present an exploration into the physical foundations of mindfulness with Qigong. 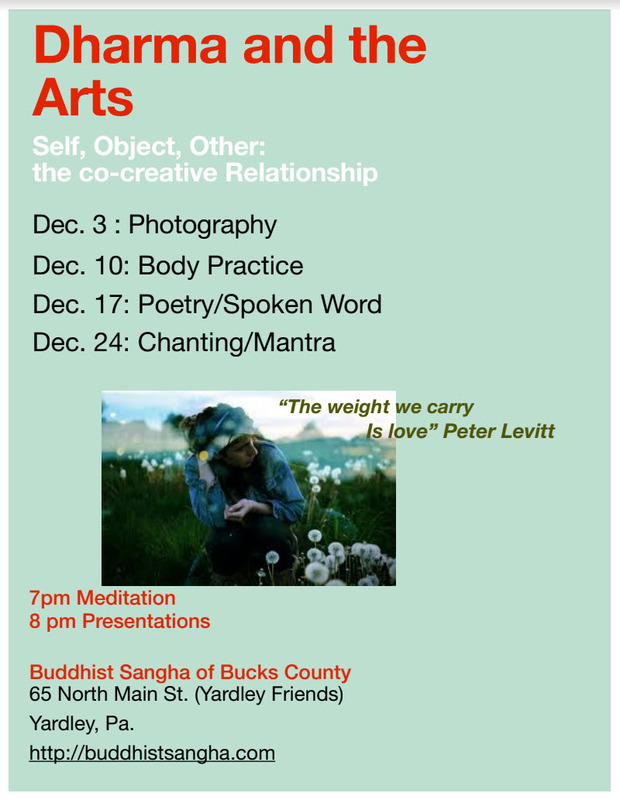 We will include readings from various poets and sangha members drawing upon themes of intimacy, self image, awakening and anything else that emerges.I hope to have something written by 10 or sooner. We ask folks to come with a short poem, written by either themselves or other, or a spoken word piece that could be read, we will have a round robin style evening, with members reading poems and then 30 sec or so silence, another reads and so forth. This entry was posted in Home and tagged dharma, discussion. Bookmark the permalink.